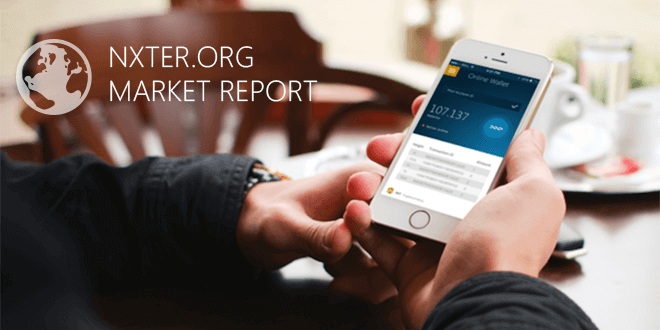 Welcome to this week’s market report. It won’t be a long one since the last few days have been lacking action, as reflected in the market capitalization and the trading volume (source: coinmarketcap.com). NXT’s market capitalization decreased by 1.5% with an average daily trading volume of about USD 50’000 with a peak at USD 90’000 (24 October). During the same period, Bitcoin lost about 7% in term of market capitalization. The NXT/BTC pair is stable at around 6000 satoshis with a strong buy support at 5980 satoshis. The sell pressure has increased slightly compared to last week – there are sell orders of approximately 400’000 NXT up to 6600 satoshis. (source: cryptocoincharts.info). Nxttycoin: Mission accomplished! Nxtty has finally submitted its app to the Google Play Store. The price has already experienced a small rise to 0.14 NXT per asset on a big trading volume (see coinmarketcap.com). Their facebook page has almost 50’000 likes and the promotional work behind the scenes is excellent. An iOS as well as a desktop version of Nxtty will follow in the next few weeks! Remember: The first 100’000 users receive 2’500 Nxttycoins each so tell your friends about it! Lyth gameplay will for the most part be decided by a player driven economy. The game is designed to sustain “emergent” gameplay in which everyone can be caught by surprise at the direction the game will take. Players interact in an immersive sandbox, where they can create their own paths and realities. They can harvest natural resources, use skills to create goods, offer services, and use strengths and powers to influence other players and the world around. Violence and politics are never far behind, but the economy will be the most powerful force, affecting warlords, farmers, and everyone in between. Game resources will be freely tradeable on an open market, allowing in demand items to find their natural prices, and letting players develop markets as needed. Create trade networks, with all associated risks and chances for arbitrage. Lith will take full advantage of the possibilities that Nxt offers. (source: nxtforum.org). On 23 October they announced a new sell wall to raise more capital. DORCS is a long-term investment – they haven’t reached the Alpha yet. You can have a look at the latest build of the game here. For further information you can also visit their official homepage www.lythmmo.com. I hope you enjoyed this week’s Market Report – see you next week!